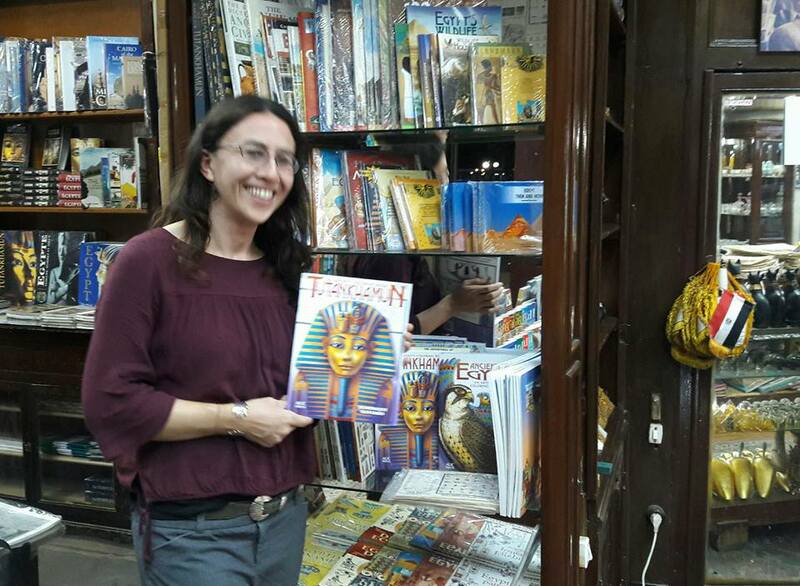 Coloring Books, all the AUC Press Nature Foldouts and more on the book stand of the wonderful Ramses Coffee Shop bookstands by the entrance to Medinet Habu Temple, Luxor!!! 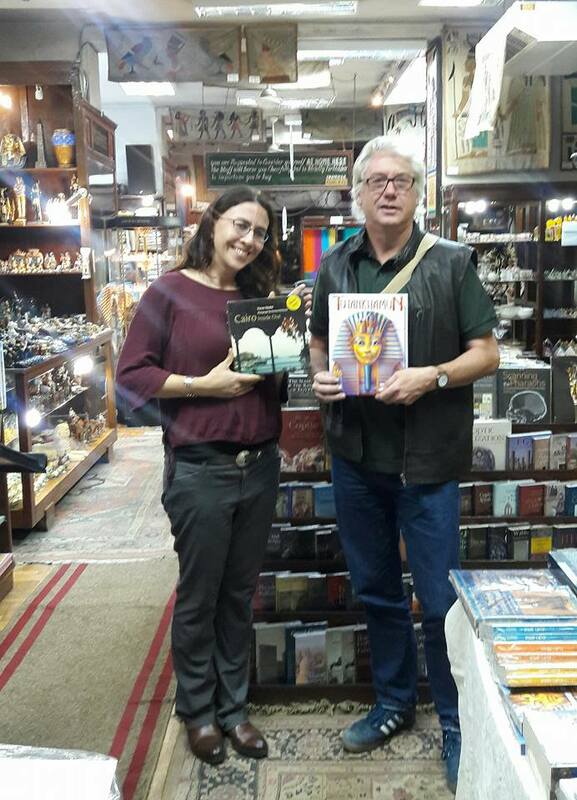 Great fun with Trevor Naylor at Gaddis Bookshop, exchanging our AUC Press books: “Cairo Inside Out” and “Tutankhamun; An Artist’s Coloring Book”! Memorable! 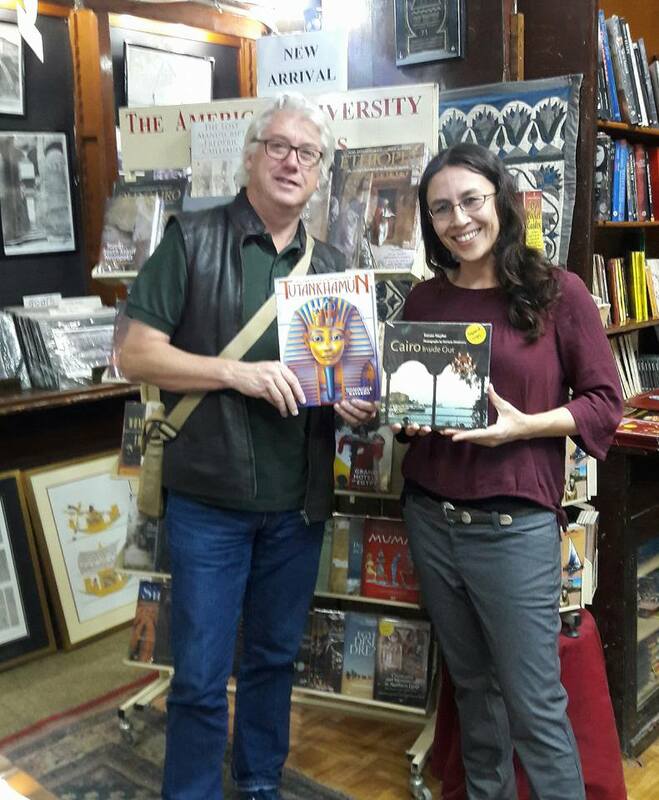 Love the book Trevor, thank you so much!!! Leave a comment Posted in Meet the Team! 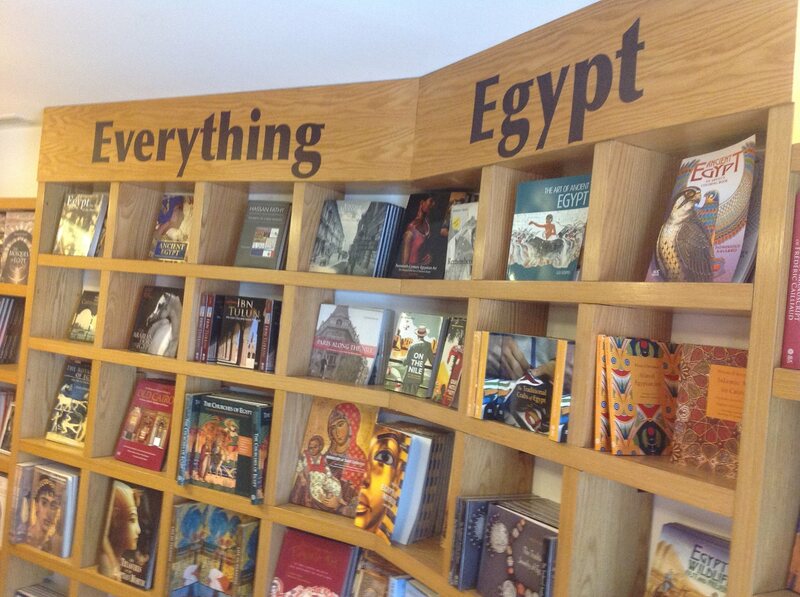 Everything Egypt! 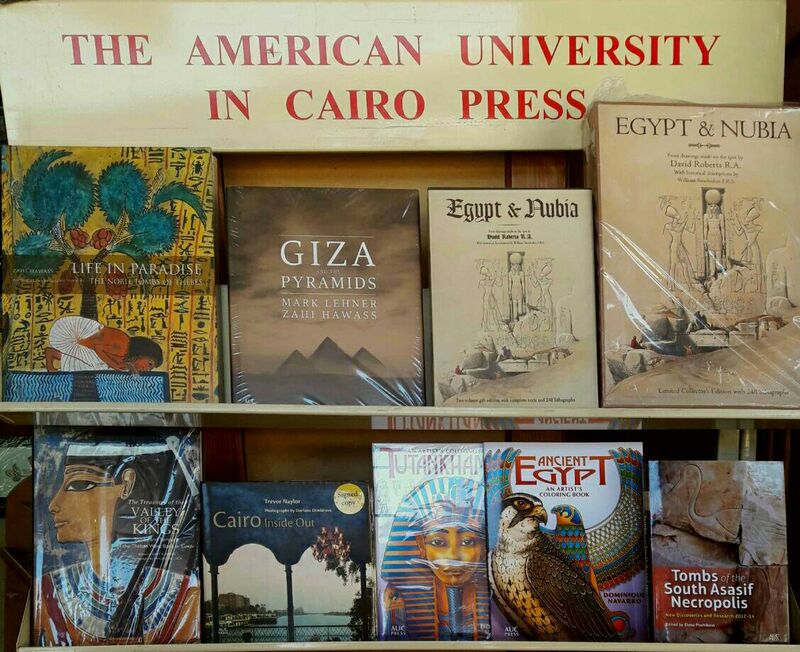 at the AUC Bookstore Tahrir! 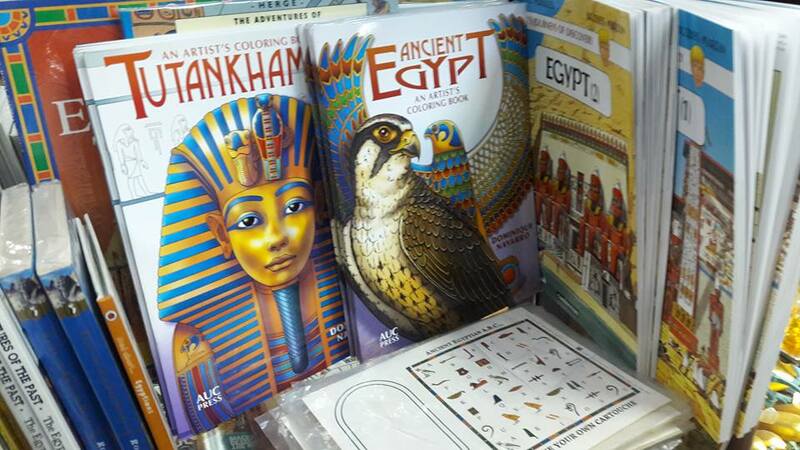 “Ancient Egypt Coloring Book” and “Egypt’s Wildlife, Past & Present “made it to the new display wall! 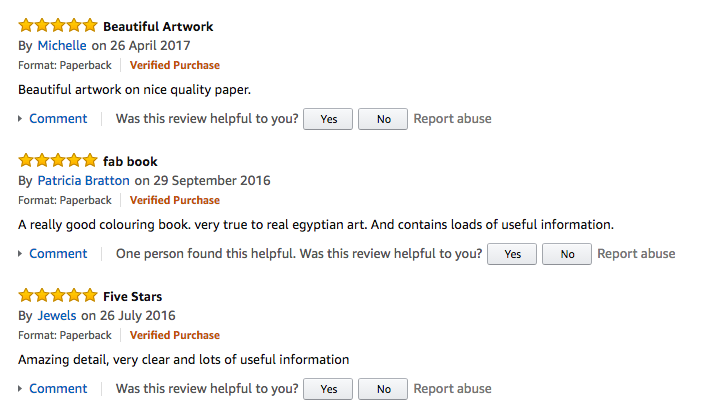 Amazon Reviews for “Ancient Egypt; An Artist’s Coloring Book”! 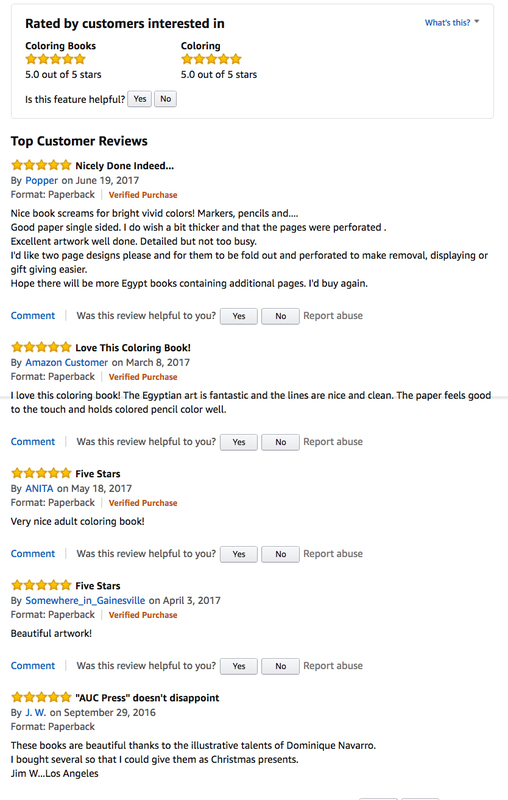 Thanks to everyone who posted a review of Ancient Egypt; An Artist’s Coloring Book on Amazon! 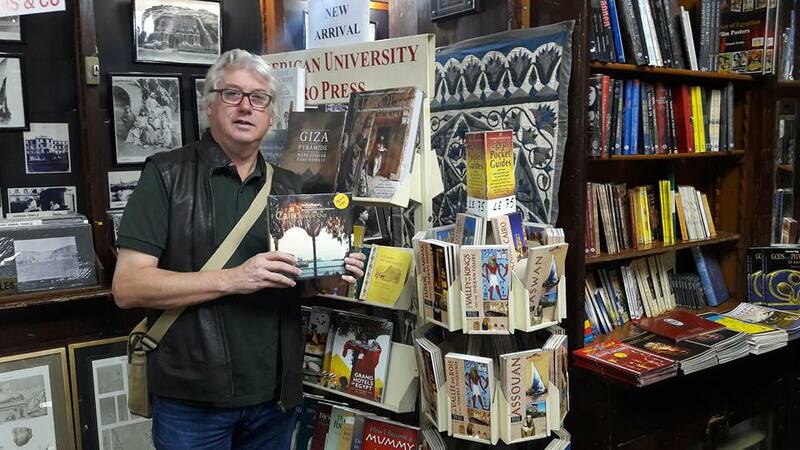 The reviews are wonderful and so greatly appreciated. 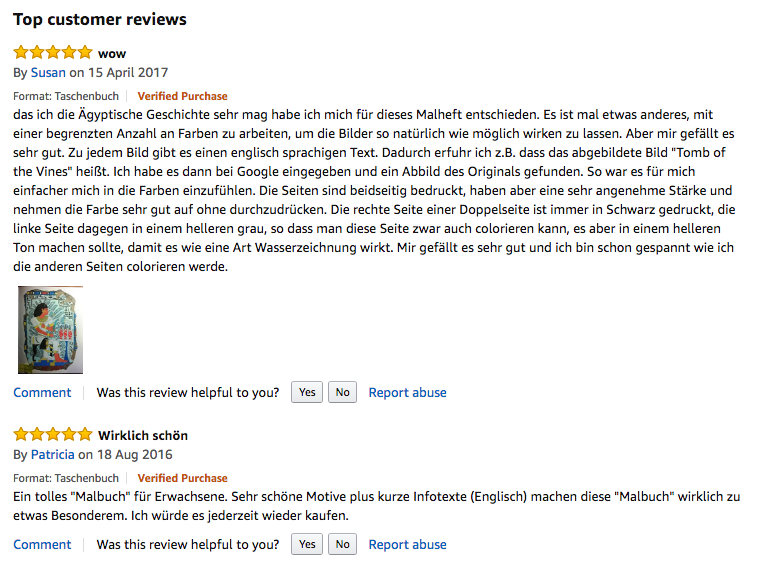 Here are some of the reviews posted on Amazon’s US, UK, and European websites. 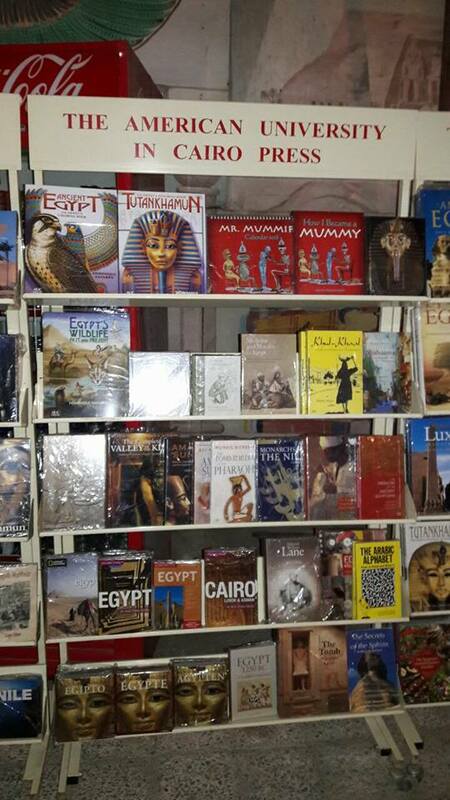 I like the Egyptian story very much I have decided for this [book]… I like it very much. 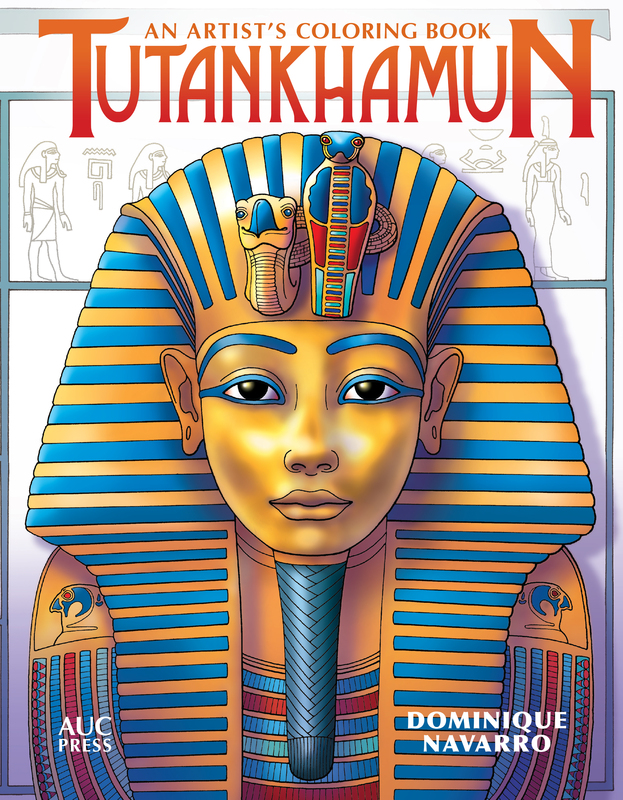 Each picture has an English-language text. Thus I learned e.g. 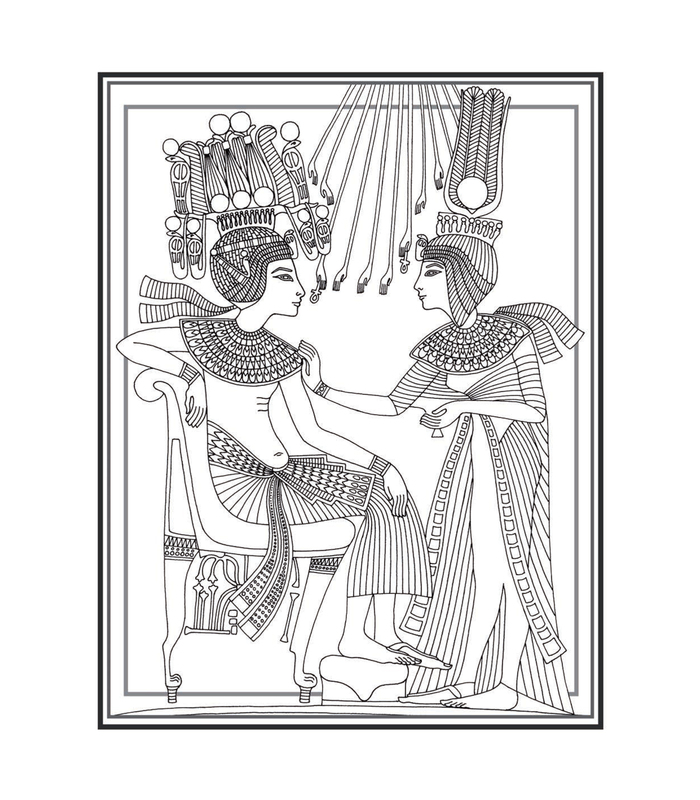 That the pictured image is called “Tomb of the Vines”. 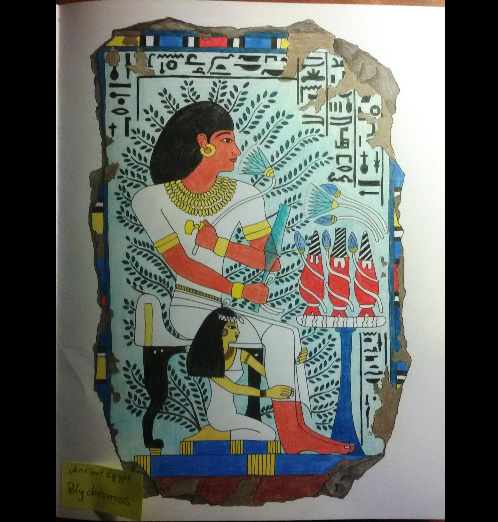 I then entered it at Google and found an image of the original. So it was easier for me to feel the colors. The sides are printed on both sides, but have a very pleasant strength and take up the color very well without pushing through. 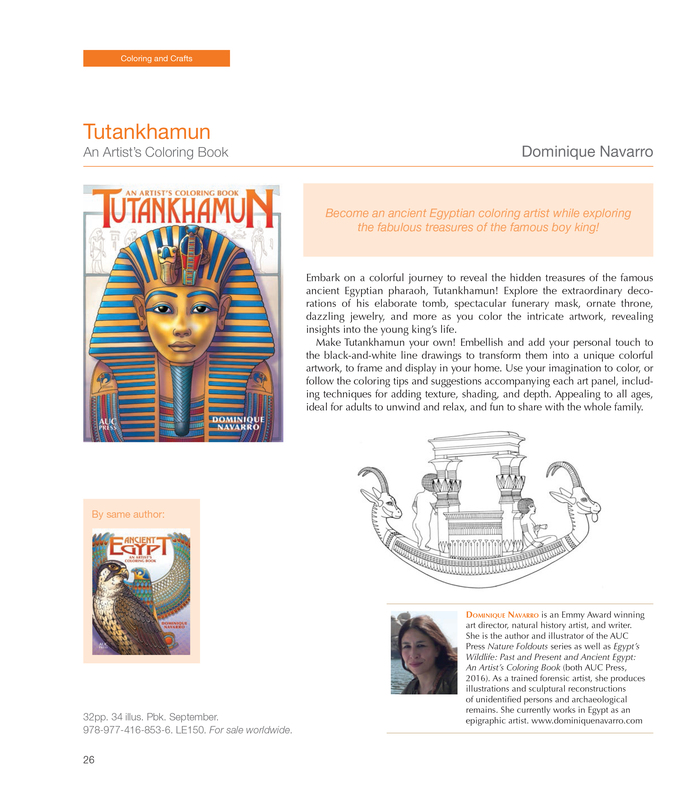 The right side of a double page is always printed in black, while the left side is printed in a lighter gray, so that this page can also be colored, but it should be made in a lighter tone to make it look like a kind of water drawing. I like it very much and I am already curious how I will color the other sides.